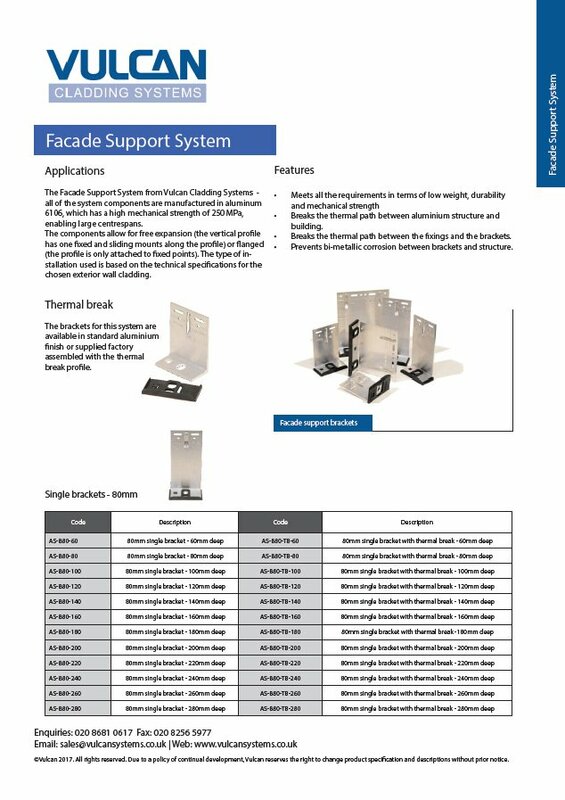 Vulcan supply facade support systems to suit any project. 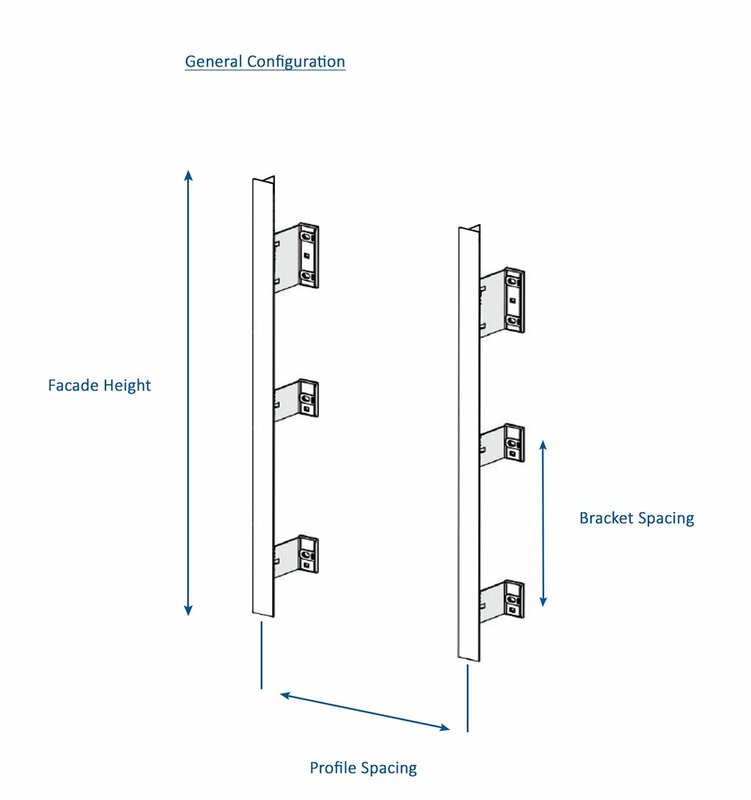 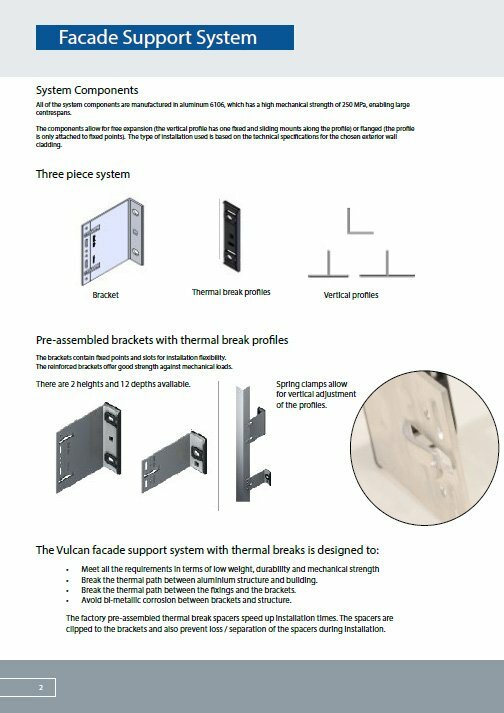 The brackets for this system are available in standard aluminium finish or supplied pre-assembled with the thermal break profile. 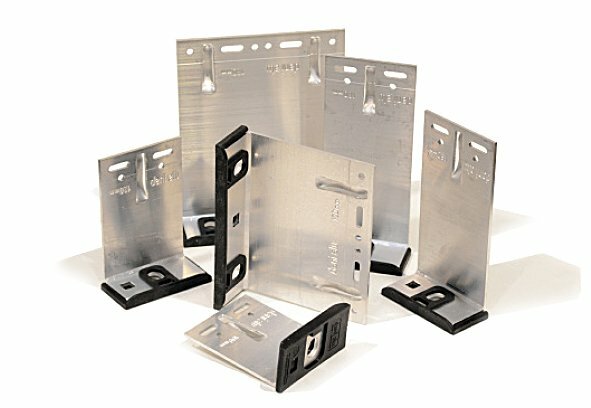 All of the components are manufactured in aluminium 6106, which has a high mechanical strength of 250 MPa, enabling large centrespans.